Hi, I’m Brandy, the resident loud-talker at Visitors Media, and voice of Traverse Traveler. I’ll be your guide on this little walk through the history of our companies. My partner is Jay. …(what would you like to say, Jay?) He usually let’s me do the talking. 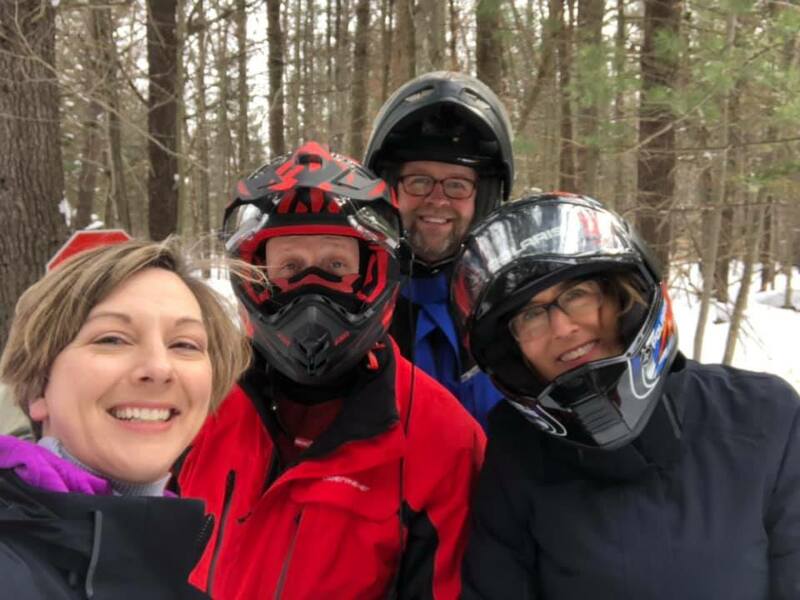 If you’d like to know more about how Traverse Traveler began, why we became partners, and our secret spot for hunting morels each spring, read on. In the wake of the tragedy of September 11, 2001 I lost my job as a graphic designer for a small ad firm in Traverse City. Getting a new one didn’t seem too likely as the market was struggling to recover. So why not start a business? Mealtickets & Unusual Ideas® was born on November 1, 2001 from a desire to help visitors see northern Michigan the way I do. It began with only six advertisers and 30 little card displays. But little by little the business grew. The hotels I worked with loved the little card displays because they fit on the front desk. Their guests liked how the cards fit in their pocket or purse. 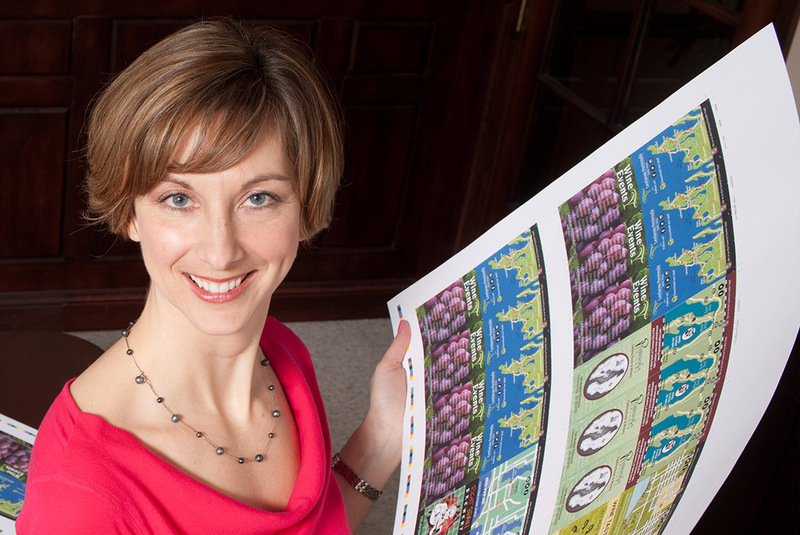 And I loved working with each advertiser to design a card that captured their business on a piece of paper no larger than a bookmark. For over 10 years you’d find a dozen displays in the trunk of my car, a semi-permanent groove on my hip where I carried them, and a well worn path from my garage to my basement where I stored and filled over 70 displays each month. Let me tell you, it’s a big number. Especially if you’re a maximizing momtrepreneur. Designer, sales person, accountant, distributor, production coordinator, blogger, social media manager,… you get the idea. What can I say, I like a wardrobe with a lot of variety. And purple. I like purple. For 13 years I worked from my home in Lake Ann, Michigan. Designing the cards was the easy (and fun) part. Selling the ads on the other hand, that was hard. Until I realized I’m not in the business of selling. I’m not interested in wheelin’ and dealin’, pushing products on customers who aren’t interested, or trying to beat the competition at some game I didn’t realize we were playing. I don’t sell. I’m interested in helping small businesses with my creative expertise, distribution service and a unique marketing approach. It’s about building relationships, not getting the sale. I’m here to learn about my customers, and discover whether what I have to offer can benefit their business. If so, great! If not, it’s best we both move on to find the right match. I won’t say it took 13 years to figure that out, but I won’t say it didn’t. Some knowledge only comes with time and experience. In 2010 iPhones were sweeping the nation and captivating us with this mysterious software known as an app. Businesses began to explore ways to reach their customers online and on the go. Suddenly everyone wanted an app. Mealtickets & Unusual Ideas little card displays were in hotels across Grand Traverse, Benzie and Leelanau County, with a solid website and blog for visitors. But what if there were an app for that? And more importantly, if I didn’t create one, surely someone would. With this big new change it was time to retire the long and hard-to-remember business name. At over 30,000 downloads the Traverse Traveler app is still growing and evolving. Smartphones are an extension of our computer, our social life, and our communications. Traverse Traveler app is one more tool in our marketing toolbox to reach visitors and guide them to the best adventure in our backyard. And it’s still FREE to download. Over the years I’ve seen many advertising products appear in the hotel lobby. They are often there one season, and gone by the next. So when a new face arrived in town, with lobby digital signage and an in-room television channel called ExploreTC, I was curious. Was it well produced? Did the company operate with integrity? Could this be an opportunity for collaboration rather than competition? I sought an introduction through a mutual client and met Jay Gorter; owner of Visitors Media, Grapevine Digital Signage and founder of ExploreTC. With a background in technology and sales Jay was successful in reviving the concept of a visitors channel in Traverse City hotels. He partnered with lodging properties to provide digital signage in their lobby. But it was the well produced video content playing in-room that attracted advertisers and this little card lady. After our first meeting we decided to test each other’s products. I would design and distribute a card to get travelers to tune in to ExploreTC. In exchange I’d try my skills in front of the camera and turn a blog post about wine tasting tips into video content that could run on the channel and promote the Traverse Traveler app. After a year of working together on multiple projects we discovered we had much in common, but brought very different skills and perspectives to the table. After 14 years on my own, it was time to grow our businesses by working together. 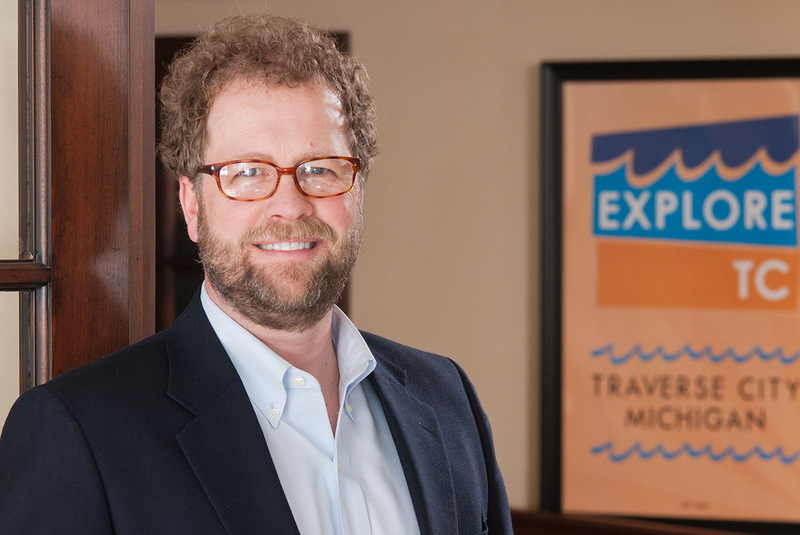 Traverse Traveler merged with Visitors Media, the parent company to ExploreTC and the recently purchased Traverse City Dining Guide. Three brands united under one roof. And I finally got out of the basement! As it happens our debut project, Traverse Traveler Wine Tasting Tips, still runs on the network as one of our signature content features. TV, Print and Digital, Oh My! The merger created a multi-media company with a mission to turn travelers into customers for local small businesses. There are more ways to advertise in this town than zombies in the Walking Dead. (If you own a small business you’re either nodding or cringing right now.) We get it. That’s one of the benefits of bringing print, TV and mobile advertising all under one roof. You have only one company to deal with, but many products from which to choose. Two business founders, two different skill sets, on one team. We both traded in some hats for new ones. Which helped us realize how much we love what we do when we get to do what we love. Now we can’t wait to get to the office in the morning to see what the day will bring. Jay spent 25 years in sales management before he ventured out on his own to start a digital signage business and launch the ExploreTC visitor channel for hotels. At Traverse Traveler Jay is the man-behind-the-curtain, geek squad, amazon shopper, drone pilot, chief problem solver. He’s early to rise and first to deliver on a promise. When he’s not in the office he’s probably beach combing for Leland Blues with his wife and Molly, the office dog. Brandy comes from a long line of entrepreneurs, but the dream became reality after 9/11 when she first launched Mealtickets & Unusual Ideas, the little card business. She’s a sucker for a good margarita, 80’s movies, beach days and road trips. She won’t take a bet unless she can win, and believes you look where you’re going, not where you’ve been. She’s the voice behind the brand, face in front of the camera, wife and maximizing mother of two.